Amazing Ocean & Bay Views at Capri 1303! 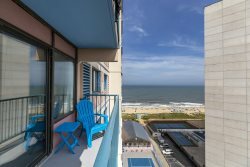 Seaside Vacations, an innovative Vacation Rental Company serving Chincoteague, Ocean City, and surrounding areas, is looking to grow our Team! Seeking reliable, self-motivated individuals with excellent communication skills, attention to detail, and a passion for the Eastern Shore. We provide our Guests with 5 Star Service & it takes 110% from all Team Members. We offer competitive pay (commensurate with skills & experience), a fun team environment, and opportunity for growth. Seaside Vacations/The Shore Group is an equal opportunity employer. Must be able to work weekends - some flexibility with hours. We value and appreciate our dedicated employees. This is a fast-paced, full time, year round position. Daily duties vary greatly, but will include answering inquiries via phone and email, taking and processing reservations, greeting clients/customers in our office, inspecting homes for housekeeping and maintenance issues, ordering cleans/maintenance, assist in marketing (i.e. flyers, ad copy, social media postings, etc), and liaising with vendors and companies to arrange for quotes and services. You will also be required to jump in and help the team as needed whether that means helping a housekeeper finish up or scheduling showings for the real estate department. Hours are flexible, but weekend work is required. If you are not available to work weekends, please do not apply. Able to learn LiveRez PMS. This high demand, fast paced role is ideal for the self-motivated individual who is looking to learn more about hospitality, the business world, and themselves. Duties will be different every day and will include all aspects of a reservation (booking, processing, guest communication, etc); answering questions regarding the area, activities, and our rental properties; greeting and welcoming incoming and departing guests with a positive and friendly attitude; clerical office duties (light banking, filing, data entry, etc), and more. Multitasking opportunities are available with housekeeping, maintenance, and quality assurance. This is a full time year round position with flexible hours, but weekend and holiday work is mandatory. If you are not available on the weekends, please do not apply. Seaside Vacations is hiring for our Seasonal Inspector Team! Our Property Inspectors are the reason we can maintain the excellent and consistent quality our Guests expect! Join us if you want to be a part of a fast-paced, fast-growing, fun-loving family company! We are looking for energetic, hard-working, team players! Weekend work required.